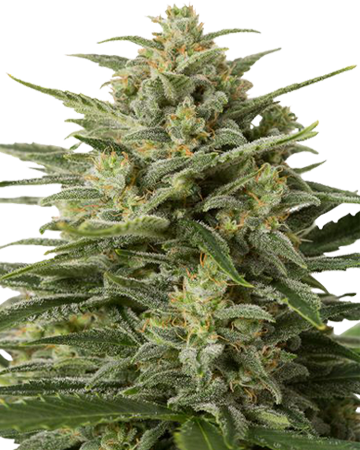 If your customers have been clamoring for cannabis seeds, look no farther than Growers Choice! 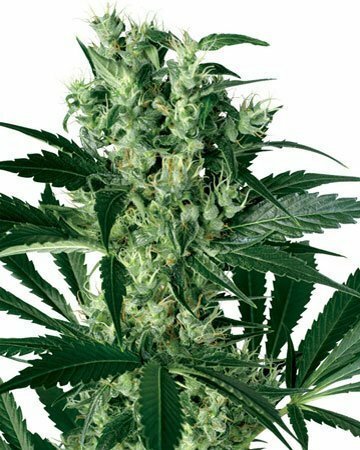 We offer an outstanding selection of wholesale feminized cannabis seeds, at amazing prices that let you pass the savings along to your valued clients. 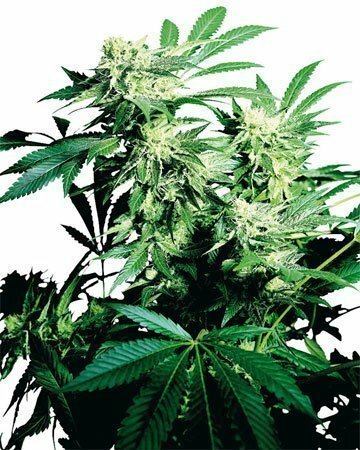 Choose from our range of regular feminized cannabis seeds, which includes world-famous strains like Jack Herer and American Haze, as well as hard-to- find Mazar and Cinderella 99. We offer 21 feminized seed strains in total, including auto-flowering and high-CBD medical varieties. 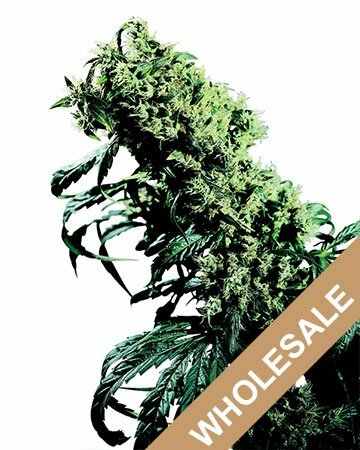 Dozens of premium wholesale feminized cannabis seeds are available from Growers Choice! Why buy from Growers Choice? The answer is simple: we aren’t just here for the sale! We stick around to ensure you’re happy not only with your order, but also with the viability of your wholesale feminized cannabis seeds. After you have placed your order (saving as much as 70% off the retail price), we don’t just ship it and forget it. We want to ensure you and your customers are getting healing, holistic medicine from our seeds, and that’s why we have the highest germination rate guarantee in the industry. Cannabis seeds are an all-natural product, but we recognize your large investment, so we promise that at least 90% of your seeds will germinate or we’ll replace the extras that fall short. Encourage your clients to follow our easy germination method, and you can rest assured that they’ll be happy with their purchase – either 90% of their first order will germinate, or we’ll keep sending replacements until they do! Gone are the days when you had to watch your plants closely during the vegetative stage, making sure to pull any that turned out to be male. Thanks to wholesale feminized cannabis seeds, you can give your customers the peace of mind that comes from knowing their whole crop won’t be ruined from accidentally overlooking a male plant. We’ve taken all of the guesswork out of the growing process, giving you an incredible selection of feminized seeds to choose from. At Grower’s Choice, we’ve got all of your favorite strains available on hand, including strains that are hard to find anywhere else. And when you buy wholesale feminized cannabis seeds from Grower’s Choice, you’re giving your loyal customers the option to make their lives easier. 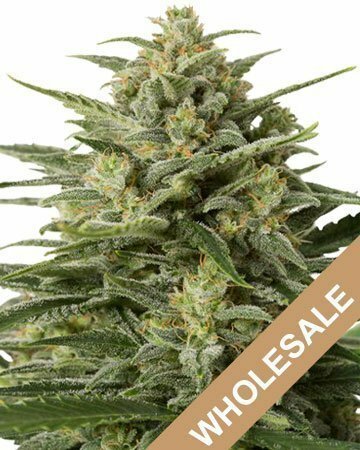 Our great discounts and germination guarantee are still not the only reasons to order wholesale feminized marijuana seeds from Growers Choice. 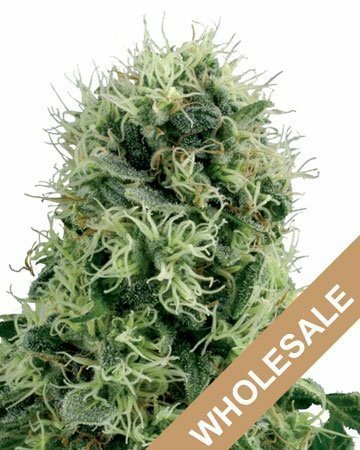 We’re also proud to sell only the finest wholesale marijuana seeds sourced from reputable growers and overseen by horticulturists and medical experts with more than 20 years in the field. We test our products, and we stand behind each and every seed. Better still, buying feminized cannabis seeds means you know that every little sprout will grow into a beautiful, hardy, medicine-producing plant. 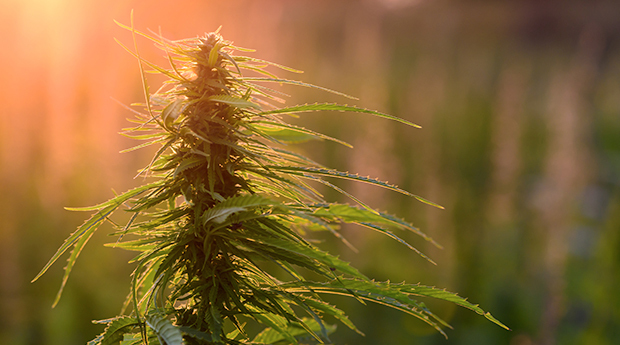 In case you’re unfamiliar with cannabis seeds, let us explain further. Regular, unfeminized cannabis seeds can develop into either male or female plants. Females produce flowers (or buds) that can be harvested and used as medicine. Males fertilized the females, enabling them to produce the seeds needed to make more plants. When a female is fertilized, though, her flower supply is severely compromised – you could end up with seedy, useless bud. You don’t have to worry about weeding out male plants during the vegetative stage. Weeding leaves holes in your garden that could have been put to better use, wasting space and cutting down on how many flowers you can harvest. No male plants means you can’t overlook one during the vegetative stage, so there’s no risk of fertilization – no risk of ruining your entire crop and voiding your investment. 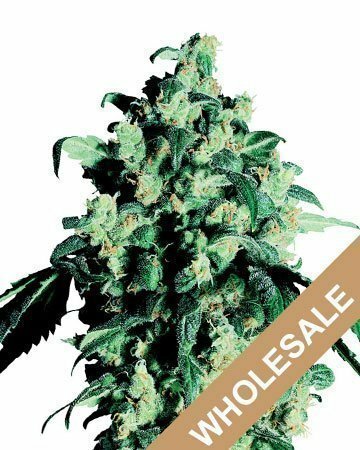 You might note that our wholesale feminized cannabis seeds are a bit pricier than regular cannabis seeds, but by now you should understand why. While as many as 50 percent of regular cannabis seeds could grow into males, who are useless unless you’re trying to breed more seeds, we guarantee that at least 90% of the seeds you buy from us will grow into female plants. At Grower’s Choice, we have a great selection of wholesale feminized cannabis seeds for medical use. Whether your customers are coming to you for seeds to treat chronic pain, headaches, insomnia, anxiety, multiple sclerosis, inflammation or cancer, we can help you find what you need. The research on all of the many ways cannabis can be used to treat a host of medical issues is increasing daily. 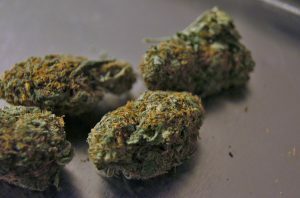 This natural product can provide relief as a potent medicine, and here at Grower’s Choice, we believe in only selling the best medical marijuana strains. We also make sure you have in-depth details about the strains you’re ordering, so your customers can make informed decisions about the plants they’re choosing to grow. If you ever have any questions, we’re more than happy to help. Because when it comes to your customers’ health, quality matters. When you’re buying wholesale feminized cannabis seeds for medical use, you want to know that what you’re getting is lab-tested, hand-selected, and genetically guaranteed. With 21 strains of wholesale feminized cannabis seeds for sale, chances are we’ve got what you need to keep your customers happy. Our selection includes crowd pleasers like OG Kush, medical strains like Critical Mango, and a wide range of auto-flowering seeds. At Grower’s Choice, we want to be your one-stop shop for ordering seeds, giving you the strains your customers want to buy. Because let’s face it, we all love variety. When you’re cultivating new customers who are just starting out growing their own plants, you want to give them the best chance for success. 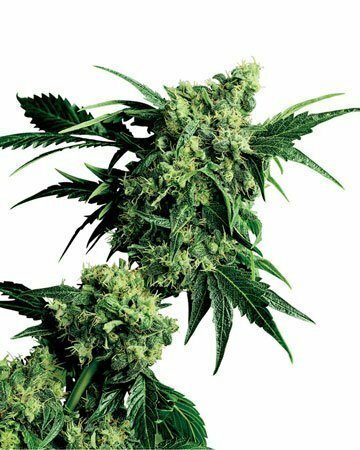 That starts with supplying them with lab-tested, premium, feminized seeds that have a 90% germination guarantee. 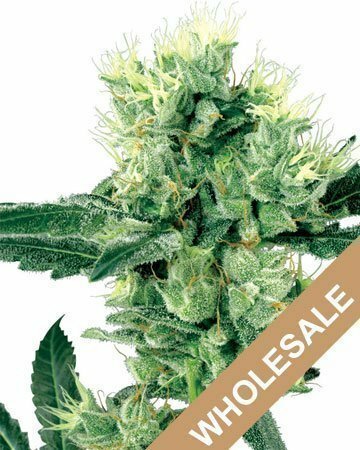 When you buy wholesale feminized cannabis seeds from Grower’s Choice, you’re getting only the best for your customers, whether they’re beginner gardeners or experienced growers. 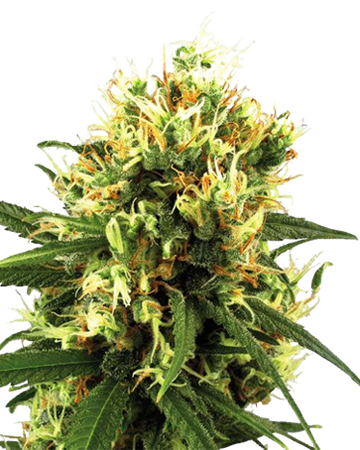 Pick up your wholesale feminized pot seeds from Growers Choice. Joining us as a wholesale partner nets you quality seeds, outstanding savings, a superior germination promise, and a loyal partner in business. 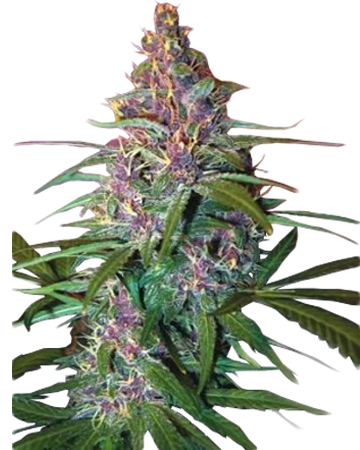 Get wholesale feminized pot seeds that come with additional partnership benefits. Medical-grade glass vials and custom plastic packaging for all your wholesale feminized cannabis seed orders. SEO consulting and graphic and web design to bring your website and online sales to the next level. We’ll also pair with you for social media sharing to further promote our businesses. White-label options for dispensary and garden center owners (or nursery gardeners) who want to keep their brand continuous. Promotional materials to display around your store, so your customers can’t miss your great new product. Always-helpful customer service reps who really care about the success you see in your Growers Choice partnership! Feminization was the best thing to happen to cannabis, if you ask me. Our customers raise their eyebrows at the slightly higher cost sometimes, but as we start explaining why feminized is best, their brows go down and their heads start nodding along – they get it. Feminized is the way to go. 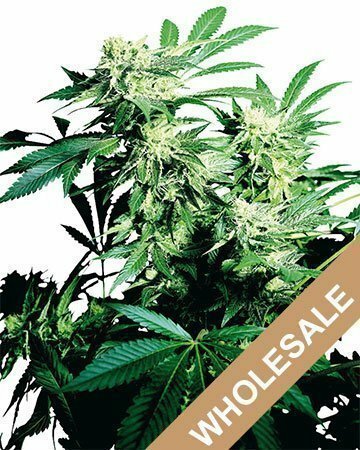 I’ve searched high and low for the best offers on wholesale feminized cannabis seeds. As someone who’s bounced around a lot from seed bank to seed bank, I can safely say Growers is my number one choice. Their pricing is better than any other wholesale on the market. All my orders so far have germinated like a dream. 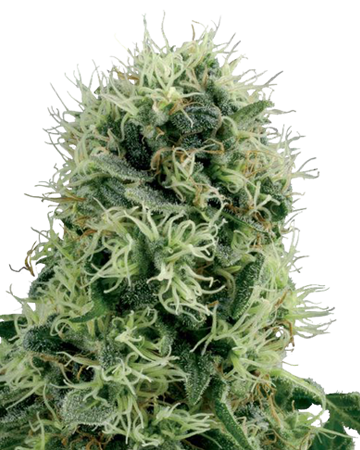 We sell only the highest quality wholesale feminized pot seeds, and strains your customers will love. Your customers will be eager to buy wholesale feminized cannabis seeds from your shop, but almost as important as that initial sale is making sure your clients know what to do with their seeds once they get them! If you’d like to skip the long talk, you can always send them to our website, where we offer a whole host of helpful articles on getting started, working through, and completing a grow. Posts like The Vegetative Stage clarify what these sometimes foreign terms mean, and make sure your customers really get the most out of their seeds. Do your customers come to you with technical questions that you’re not sure how to answer? Or maybe your clients just need an easy reference guide to turn to, that’s free to use and simple to access? Just send them over to our grow advice section. We have all the latest and most reliable information compiled in one place. So whether you’re getting questions from an experienced grower or a novice gardener, you can find the answers you need without even having to open a search engine. Our grow advice page provides basic information like how to start growing weed, how to build a grow room, how to preserve cannabis seeds and how to dry and cure cannabis buds. And for your more experienced clients, we’ve also provided details on how to clone plants, make hash, use a Sea of Green growing method, and how to set up a hydroponic system. Here at Growers Choice, we want to make sure you’re armed with all of the knowledge necessary to keep your customers happy and informed. And if you can’t find what you need, don’t hesitate to contact us. We’d be happy to help. Order wholesale feminized weed seeds from Growers Choice today, to experience the full potential of a partnership that benefits not only us and you, but also customers and medical cannabis patients in your sales area. Get started by choosing a wholesale strain below.